Retirement planning refers to the process of identifying your lifetime dreams and financial hopes, developing strategies that move toward achieving these, and executing this plan in order to arrive at your financial goals. 1) How much you need to save in order to reach a lump-sum value of assets to be used later for replacement of income. 2) Whether your existing portfolio is sufficient to meet your current needs for income replacement or whether your portfolio needs to be adjusted. The first stage assesses your readiness to your financial goals based on your desired age and lifestyle needs, and offers suggestions aimed at increasing your chances of success. This stage results in answering questions like: Will I have enough to live on given what I am currently doing? Do I need to save more? Will restructuring my portfolio aid in boosting my returns, and/or do I even need to restructure? How will inflation affect the longevity of my portfolio? Will my portfolio outlive me or will I outlive it? 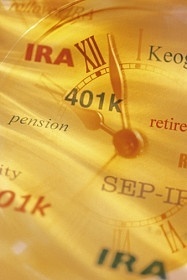 Will I have to postpone my targeted retirement date or could I retire earlier than hoped for? Can I live on more income that I thought or do I need to reduce my income expectations? The second stage focuses on your targeted retirement date: Does it need to be far off in the future, or is it within the reaching distance of a few years? The first stage is about strategy development in order to arrive, the second stage is about strategy development on how to currently provide. Both stages of development have questions seeking answers. Most often investors are at a loss concerning how much to withdraw from their portfolios in order to meet current income demands without impacting its ability to maintain sustainability. Can you take less risk and still withdraw the income you need? Do you need to reduce your income withdrawals or can you gradually increase them? How do you structure a portfolio that provides income now, while continuing the portfolio's growth, so you can still meet your future income needs? At Asset Management Strategies, Inc., our thorough retirement analysis seeks to answer these questions and more. A well-structured plan sets a strategy in motion that offers a degree of security, reassuring that your needs will be met.